I picked up this wine from First Leaf wine club along with two others which are resting now. The advertisement said the wind would retail for over 25 bucks at least so I was a little skeptical because the only one program I’ve found so far has been underground cellar. And I love everything Underground Cellar has sent me. This is part three of the Don Cervantes video interview we did back with Max Myers in October of 2010. Find cigar reviews here. The podcast originally aired in January of 2011 on Pure Indulgence, a famed Radio Dentata show hosted by moi. Urban Legends Cellars is a local winery in Oakland near Jack London Square that features quality wines, and a great staff. Recently I helped them bottle the latest release. We’re doing second Friday early this month! We’ll be at the Indie Awards 2nd Friday…. Marilee and I have been frequenting La Borinqueña Mex-icatessen, where we have admired Tina “Tamale” Ramos’ gallery of Joaquin’s work. We’ve been drawn in by the mix of humor, history, and culture in his works. As a salute to Cinco de Mayo we’ve asked Joaquin to be our May artist. Joaquin is a co-founder of the Forrealism Movement and studio in Alameda. “The Forrealism Movement is composed of a group of mixed Indian and Latino artists who create works collectively, drawing from our own traditions and those of our elders who have shared gifts of their wisdom and experience. We do not purport to be religiously bound to these traditions; rather we strive to deconstruct racial barriers in order to construct cultural bridges toward a greater indigenous consciousness. We’re packing up the pink flamingos and once again heading across the Bay Bridge to join our fellow Rosé fanatics with the 2010 version of our Best Micro Winery-winning Rosato di Barbera! Look for an uptown theme this year. Uptown cupcakes, Urban Legend Uptown blend on tap, and more. Being newbies, we’re not sure what to expect but with cupcakes on roller skates it should be Oakland style fun. We hope to see you there! Uptown gets outta town, and Rosato gets around! o Uptown- by the glass and 1L refillables! * Where would like to see Urban Legend? Bonny Doon exhibits the spirit of Pure Indulgence to me. So check out their newsletter! Sent to you by Bonny Doon Vineyard. Please add us to your address book to ensure delivery. The newsletter shows up in the PDF plugin in your browser and is from @UrWineGuy on Twitter. He is a man who knows what he’s talking about when it comes to premier wine. I thought this was worth passing onto my wine drinkers here. I have toured the Amity Vineyards and tasted a number of their wines some time back before Pure Indulgence was even a thought The wines are quality, and a good representation of the local climate. The tasting room is quaint, and the odd (for me) thing you’ll want to try is the Almond sparkler made in the mothode champagne. Since the beginning we have tried to make our footprint on the land we farm and the winery as small as we can. We were the first Tilth Certified Organic winery, one of the first Salmon Safe, first Oregon Certified Sustainable Wineries(OCSW) and now one of the first UPS Carbon Neutral Shipping option wineries. Our newest project is partnering with UPS to offer you the option of shipping in the Carbon Neutral Program. When you check out just choose the green logo. It will cost you an extra 5 cents for ground and .20 for air. How does this work? If the millions of people who ship packages every day all contribute a little and all that is added up and spent to plant trees and reclaim lands then greenhouse gasses are significantly reduced. Go to UPS for information about the program. 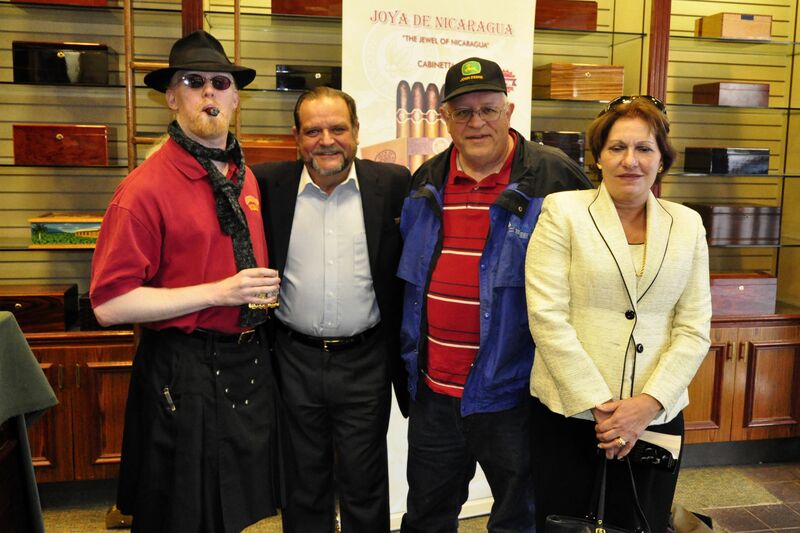 Last night I had the pleasure of meeting Dr. Alejandro Martinez Cuenca of Joya De Nicaragua. 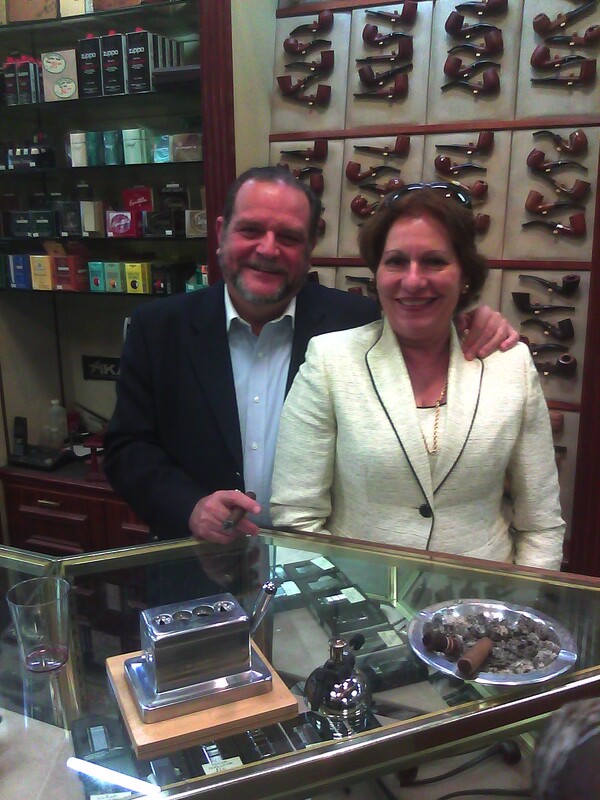 He’s a very pleasant man with a passion for sharing his cigars, relaxation and quality of life. We’ll be exploring more of his product on Pure Indulgence in an upcoming podcast but until then I’m going to share my notes on thew two cigars I smoked last night. First up: The Antano – The first time I smoked this stick a few months back it was a power bomb with no flavor what so ever. I chalk this up to my palate because the one I smoked last night had notes of coffee, mild earth and robust flavors that were NOT overpowering. It required a few relights but that was due to the networking/partying I was doing on behalf of Radio Dentata of course 😉 Even in the end of the cigar where I’d expect a buildup of tar and such, the flavors still held solid with a draw that was easy and enjoyable. I paired this with Bushmills Blended scotch. The second cigar I smoked was the Antano dark Corojo – a tasty cigar with an oily wrapper and some nice spices that cut through the previous cigar and paired well with a German Hefe Wiessbeir. The draw was smooth, flavors consistent yet not overly complex. The style of both smokes was reminiscent of an old world smoking style. 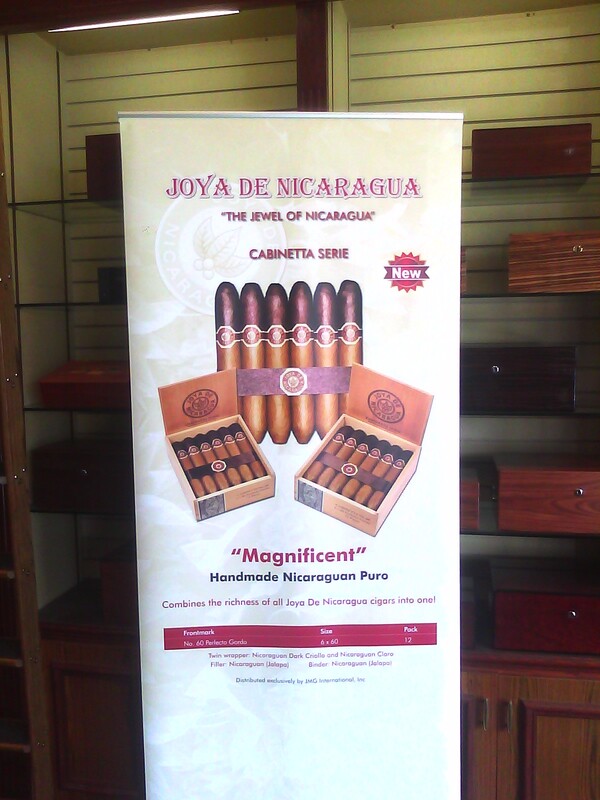 Full bodied cigars that have flavor and power. These sticks aren’t for the faint of heart but JdN does make a line of mild-medium cigars for customers who prefer less strength in a cigar but still seek an old world taste. More to come on Pure Induglence!